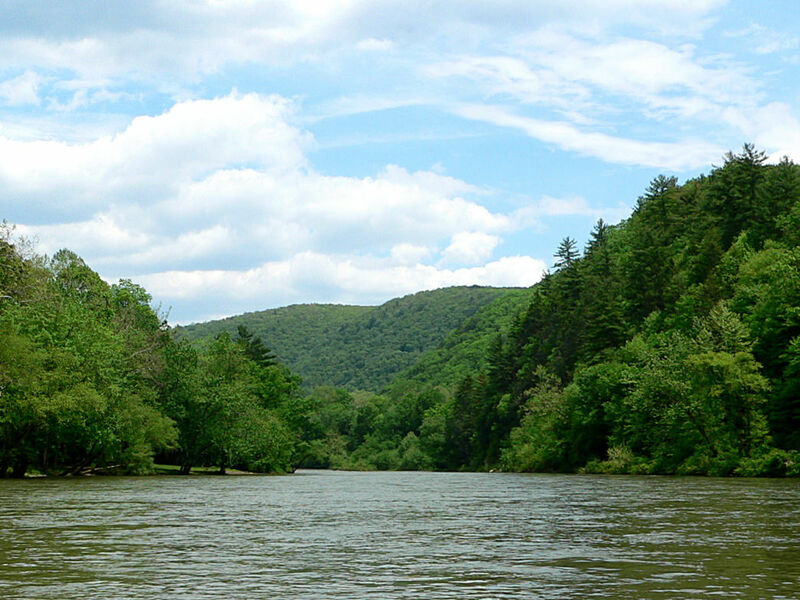 The Greenbrier River flows through Greenbrier State Forest. There are 13 miles of trails, from 1 mile to 7.8 miles long. There are also 2 nature trails and a 1-mile exercise trail. Most of the trails are moderate. Even though some of the trails are short, they are strenuous, and the longest trail is difficult. But, there are also 2 easy nature trails, and a 1-mile exercise trail for more casual hikers. Greenbrier State Forest is great to visit year-round. 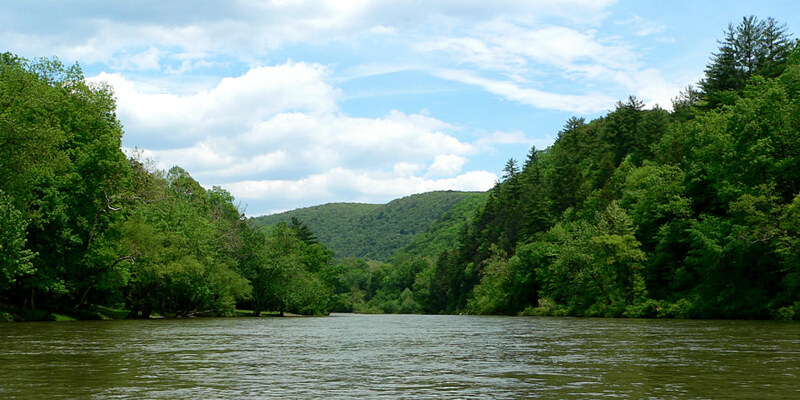 Greenbrier State Forest covers more than 5,000 acres in southeastern West Virginia’s Allegheny Mountains, just outside of White Sulphur Springs in the Greenbrier Valley. The forest is close to The Greenbrier, the state’s renowned historic resort; a declassified Cold War fallout shelter; and Lewisburg, voted “America’s Coolest Small Town” by Budget Travel magazine. There are 13 miles of trails that range from 1 mile to 7.8 miles, and regardless of which one you choose, you will find wonderful scenery that includes hemlock forests, trailside streams, wildlife, and rare plants. The one thing you can’t miss at Greenbrier State Forest is Kate’s Mountain, which rises 3,280 feet above the surrounding meadows and countryside. Kate’s Mountain is home to several unusual plant species, including a rare species of clover (which is twice the size of common clover) and the box huckleberry. You will also find dense forests, mountainous terrain, rolling countryside, plenty of wildlife, and a scenic ridgetop road that begins at U.S. Route 60 near White Sulphur Springs and ends at the Greenbrier State Forest headquarters. For a quintessential Greenbrier experience, hike Kate’s Mountain Loop Trail—a 7.8-mile trail that combines the Rocky Ridge, Holsapple, Young Nature, and Mabel Dowdy trails with the service road. It’s difficult, so “backpacker types” will like it best. The loop takes you from mountaintop, through deep forest, and into several different plant and wildlife habitats. If a nearly 8-mile journey is more than you’d like to take on (but you still want a tough workout), try the 2.1-mile Rocky Ridge Trail. It’ll still take you to the mountaintop overlook for an incredible view of the valley. If you’re looking for an easier hike, try the 2.3-mile Holsapple Trail or Young’s Nature Trail. Beginning at the top of Kate’s Mountain at the Rocky Ridge Trail, the Holsapple Trail follows an old logging road all the way down the mountain. It ends near the 1.7-mile Young’s Nature Trail. Young’s Nature Trail has a more gradual climb up the mountain, following along the ridgeline once you get to the top. While both of these hikes are still a serious workout, if you go slow and take your time, you should be able to get up to enjoy the view even without a ton of training. Greenbrier State Forest has other outdoor activities you can enjoy pre- or post-hike,like disc golf, picnic areas, and hunting and fishing (with the appropriate WV permits). There are also cabins you can rent, or you can camp in the forest. Casual hikers and backpackers alike flock to Greenbrier State Forest. The trail system is great for a quick hike or an all-day workout. While most of the hiking trails at Greenbrier State Forest are moderately difficult, there are 2 nature trails that are easy to moderate, and a 1-mile “exercise” trail that is flat with exercise stations along the way. Greenbrier State Forest is easy to find. From I-64 (East or West), take exit 175 toward White Sulphur Springs. From there, it’s just less than 2 miles to the forest entrance. Large trucks and campers may not be able to make it all the way to the forest, because you pass through a rail tunnel that is narrow and has a low clearance.